Designing, implementing, and maintaining APIs for the Web is more than a challenge; for many companies, it is an imperative. This series takes the reader on a journey from determining the business case for APIs to a design methodology, meeting implementation challenges, and taking the long view on maintaining public APIs on the Web over time. Along the way there are interviews with influential individuals and even a suggested reading list on APIs and related topics. In this article, the first of a new series, Matt McLarty examines APIs from a business perspective, whether or not they are open and overtly monetized. The article covers the importance of tying your APIs back to your business value, looks at the type of data that should be used, and studies the success stories of Amazon and Twilio. As part of our ongoing series on Web APIs Mike Amundsen talks to Mike Kelly about his reasons for creating HAL and his experiences over the last three years with web developers and the API community. In this article, Mike Amundsen provides a brief overview of the design methodology covered in the book "RESTful Web APIs", a methodology that results in an API design that takes advantage of both HTTP and the Web. In this article, Steve Klabnik talks about four different real-world implementations of hypermedia: how you may already be using hypermedia through image links, how GitHub uses the Link header for pagination, using hypermedia in constrained systems like iOS, and how Balanced uses hypermedia principles to build their product. Roy Fielding talks to Mike Amundsen about versioning on the Web, why hypermedia is a requirement in his REST style, the process of designing network software that can adapt over time, and the challenge of thinking at the scale of decades. Rounding out our first Web APIs series Mike Amundsen shares books he recommends for those who want to learn more about designing, impelementing, and maintaining APIs for the Web. An internationally known author and lecturer, Mike Amundsen travels throughout the world consulting and speaking on a wide range of topics including distributed network architecture, Web application development, and other subjects. In his role of Director of Architecture for the API Academy, Amundsen heads up the API Architecture and Design Practice in North America. 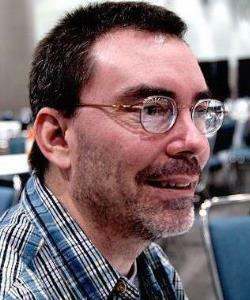 He has authored numerous books and papers on programming over the last 15 years. His most recent book is a collaboration with Leonard Richardson titled "RESTful Web APIs" published in 2013. Mike's 2011 book, “Building Hypermedia APIs with HTML5 and Node”, is an oft-cited reference on building adaptable Web applications.